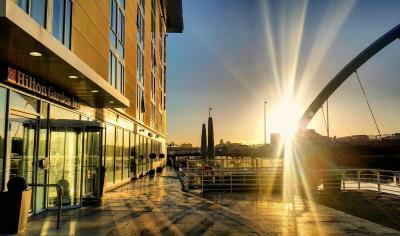 Lock in a great price for Hilton Garden Inn Glasgow City Centre - rated 8.6 by recent guests. Extra comfy bed and courteous staff. Always helpful and friendly. The central heating wasn't working, or rather was working but too well making the room freezing. Staff tried to fxit but the attempts didn't work. In the end had it turned off and a heater installed this took too long to resolve but was OK eventually. Breakfast selection was really good, great choice of cold and hot options. Everything! From the lovely reception staff, lovely food, brilliant rooms, cracking view. I love this place. Get a swimming pool and you would have it all! We have stayed here before and it never lets us down! Perfect location as well. 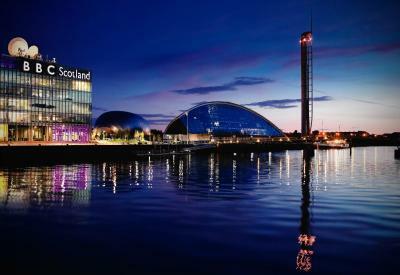 It was a nice room,very handy for SSE Hydro.easy to find.Room had lovely river view. 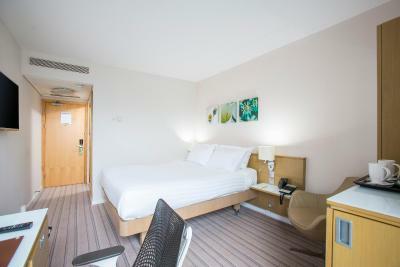 Good location, nice comfortable room with tea/coffee and a complimentary fridge to self-stock. 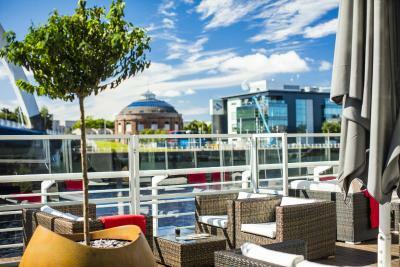 One of our top picks in Glasgow.Set on the banks of the River Clyde, Hilton Garden Inn offers rooms with views and free WiFi access. 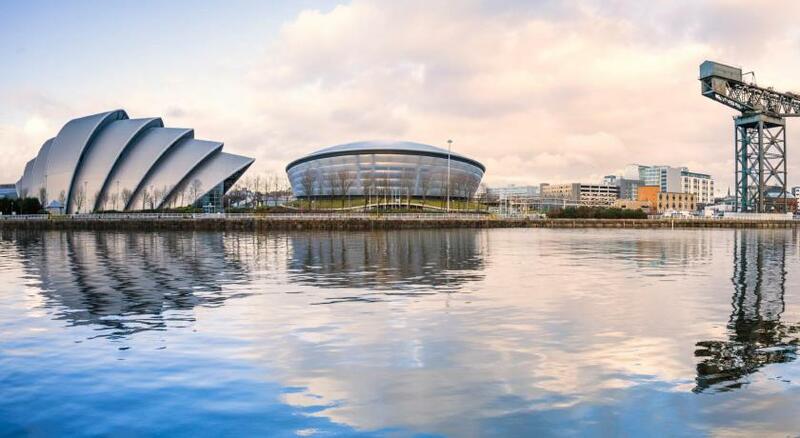 The Scottish Exhibition and Conference Centre and SSE Hydro are both 2 minutes’ walk away, while Glasgow city centre is 10 minutes’ from this Hilton. 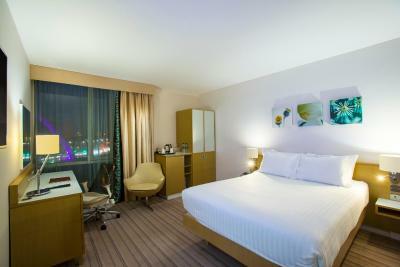 Each stylish room includes a desk and tea/coffee making facilities. 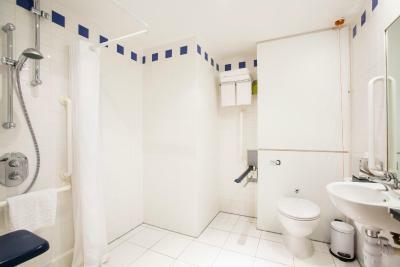 All rooms have a modern bathroom and some offer river views. 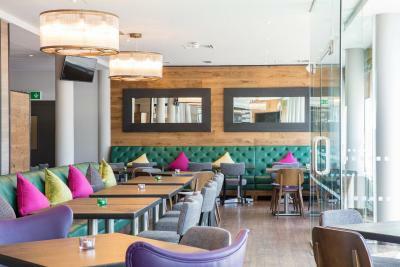 Guests can relax in the dining area, Recess, which serves contemporary dishes made using locally sourced ingredients. 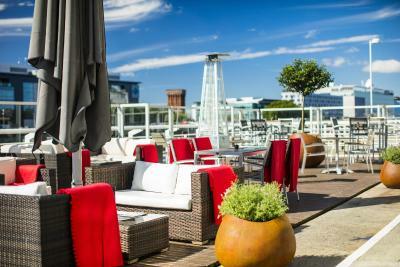 You can dine on the terrace or enjoy a drink in the sleek bar. 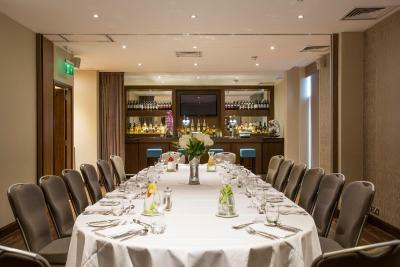 Alternatively, there is the Pavilion Pantry serving food and drinks 24 hours a day. The spacious gym features modern equipment. This Hilton also has guest laundry facilities. 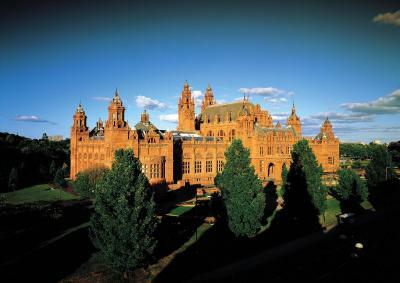 Glasgow Central railway station is 1 miles from the property, while Glasgow Airport is 7.8 miles away. 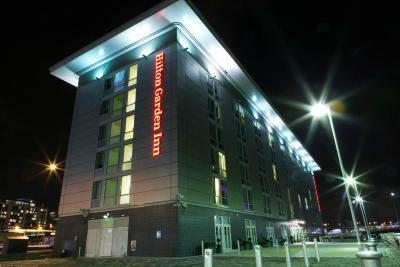 Hilton Garden Inn Glasgow City Centre has been welcoming Booking.com guests since 23 Nov 2009. 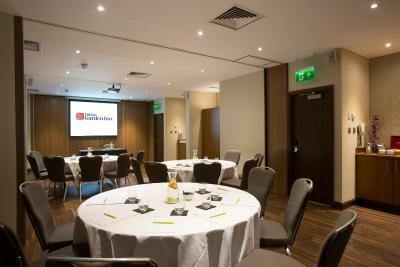 When would you like to stay at Hilton Garden Inn Glasgow City Centre? 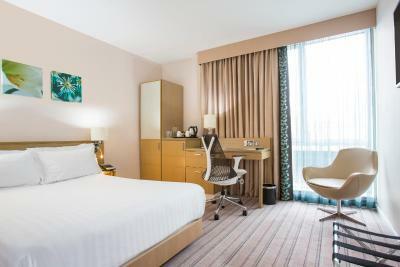 With an 42-inch TV and computer, as well as a minibar and free tea and coffee, all of the stylish rooms also have 24-hour room service. 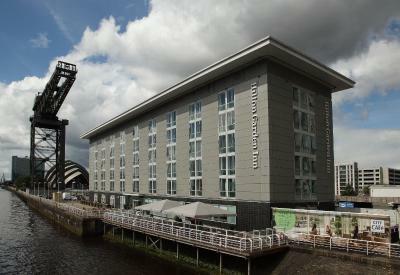 Each room has a modern bathroom, and some rooms have views over the River Clyde. Private parking is possible on site (reservation is not needed) and costs GBP 7.50 per day. 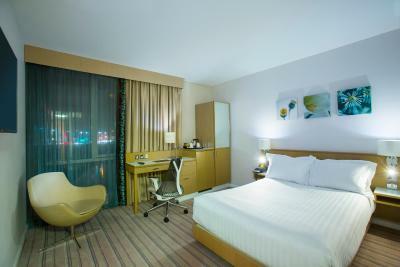 The Queen Room features a work desk with a flat-screen HDTV, tea/coffee making facilities and a laptop-size safe. 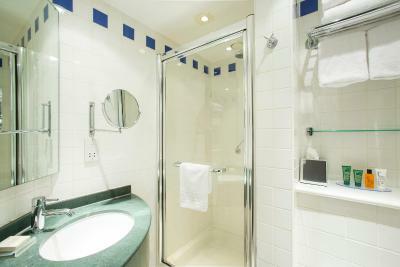 The en-suite facilities contain a shower and complimentary toiletries. 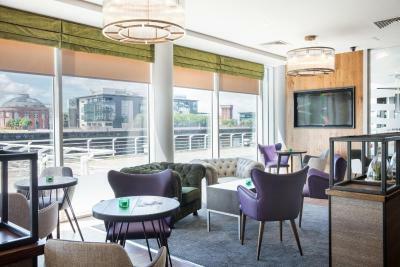 With views of the River Clyde, this air-conditioned room also features a private bathroom, satellite TV and tea/coffee making facilities. This room offers views of the River Clyde. 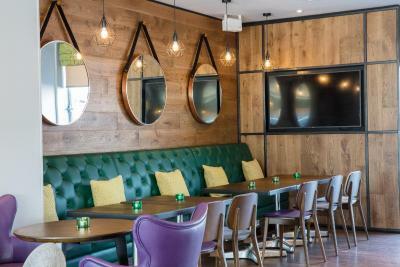 Guests will find a seating area and work desk in this room. 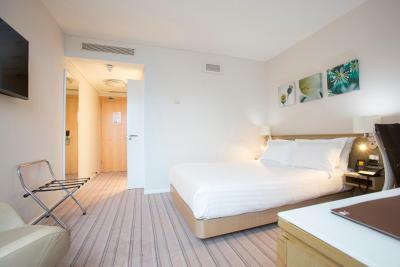 The en-suite facilities contain a shower and complimentary toiletries. 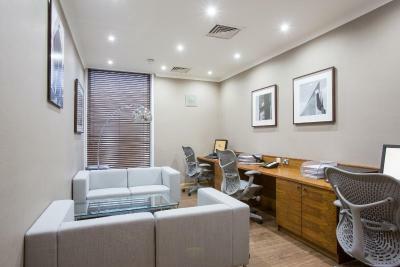 This room features a work desk with an HDTV, tea/coffee making facilities and a laptop-sized safe. 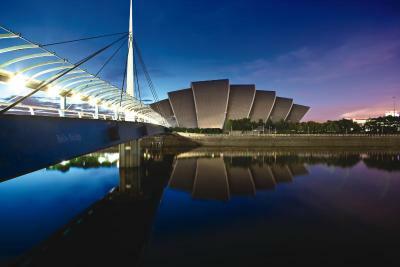 Hilton Garden Inn Glasgow has a perfect location on the River Clyde next to the SECC. 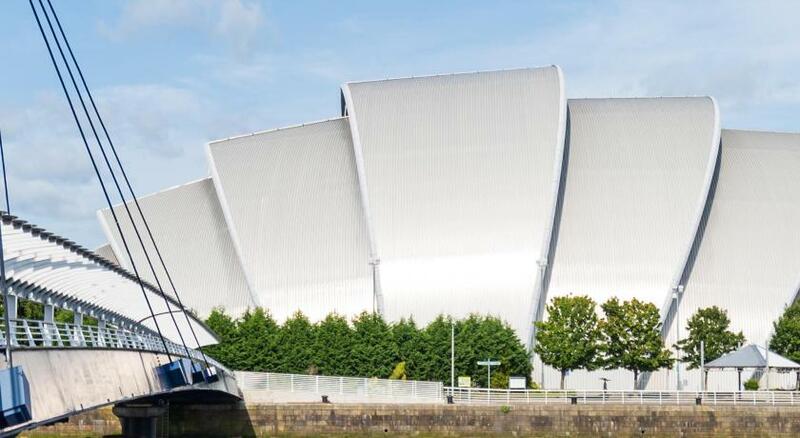 There is no better base for enjoying a show at the SECC or exploring the bustling city of Glasgow. 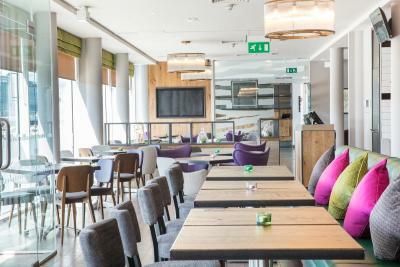 HGI has relaxing surroundings, fantastic service, great value, free Wi-Fi, award winning bistro and ample car parking which is rare for a city centre hotel. 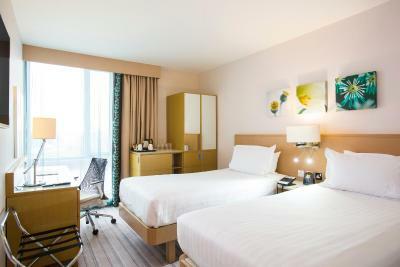 You can count on HGI for a perfect stay. 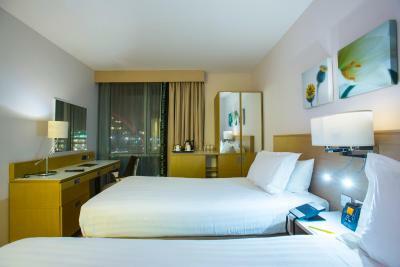 Hotel surroundings – This neighbourhood is a great choice for travellers interested in live music, museums and entertainment – Check location Excellent location - show map Guests loved walking around the neighbourhood! 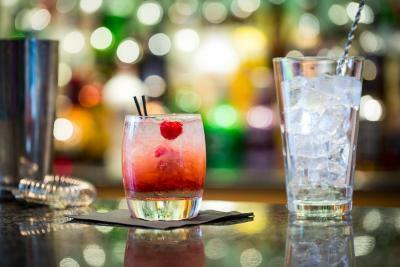 House rules Hilton Garden Inn Glasgow City Centre takes special requests - add in the next step! 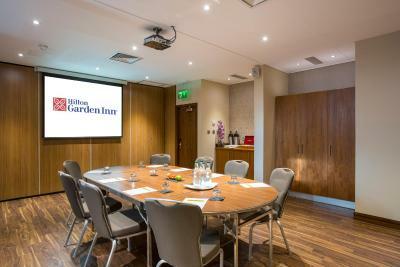 Hilton Garden Inn Glasgow City Centre accepts these cards and reserves the right to temporarily hold an amount prior to arrival. Pillows were too big - 1 was not enough but using 2 was too high. Could’ve had more bar staff on a weekend when the weather was nice - long queues, ran out of correct glasses and standards fell as the day went on. The location was was quite a way out of the town but handy for the exhibition place. 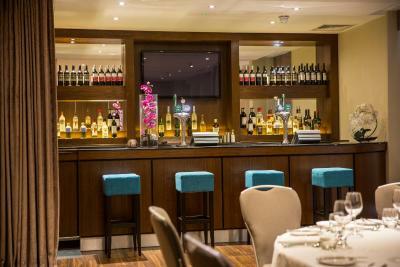 The property was clean in the rooms and the reception staff were extremely helpful! I considered that the bar prices were expensive. Also the service at the bar was slow especially when it was so busy. An extra bar person would make a big improvement. Thought the staff struggled at the bar at times and ther prices a bit expensive . The carpet hadn't been hoovered. The previous occupant had long black hair which was all over the carpet. Disgusting. We told the receptionist as we checked out. No apology, just, " Was everything else alright?" I usually stay in a Premier Inn, the rooms are spotless and cheaper. I think paying over £214 for a room that hasn't been cleaned properly is a joke, but, I'm not laughing, particularly because of the off- hand way my complaint was not acknowledged. Poor show.